This statistic depicts the frequency of top renovation triggers among U.S. homeowners in 2017. 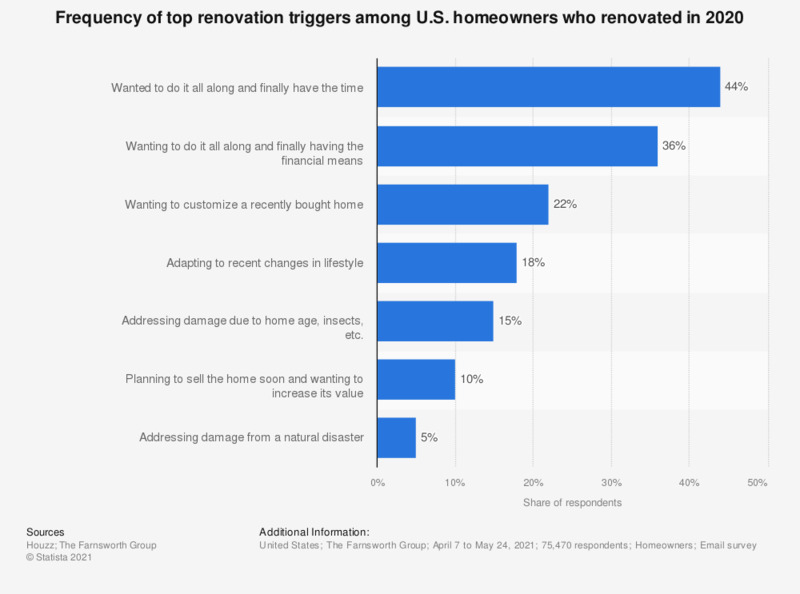 The survey revealed that 56 percent of respondents wanted do their renovation all along and finally had the time or financial means. Which of the following projects has the highest priority in home improvement to you in the next twelve months?